John and I have a thing for sushi. Sticky rice, crunchy veggies, spicy seafood, plus that wasabi, ginger soy combo? Umami ftw. Veggie, california, spicy tuna, fire spitting dragon (is that even a name?) – we eat it all. And while sushi is more of a treat that we save for nights out, it’s also fun to make it at home. But as you know, having one more thing around the house – i.e. a bamboo mat – isn’t really my thing. 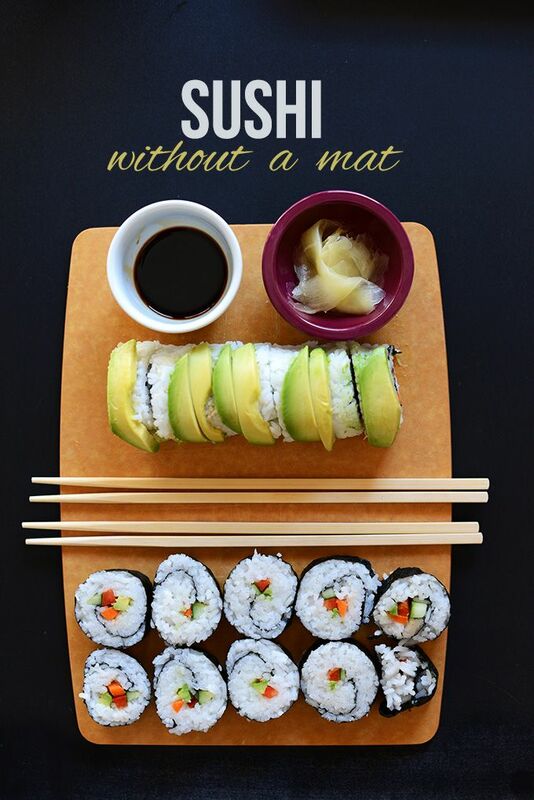 But you don’t need a mat to make sushi. You just need a few simple ingredients and a towel.